Two years ago, VMware has started new vExpert (sub)programs on different technologies. 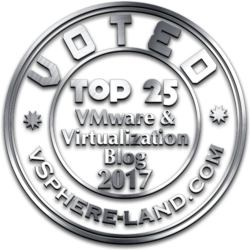 One of those sub-programs was the vExpert NSX and I was honored to part of the first list. 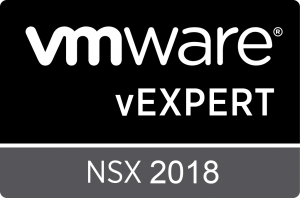 After the renewal of last year (VMware vExpert NSX 2017), I found that I’ve been renewed also for this year! 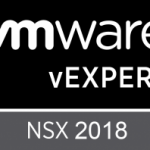 VMware has just announced the list of vExperts NSX 2018. Amy Lewis (@CommsNinja) has been a part of the community for a long time with history at Cisco, Solid Fire and Netapp. Amy is now Director of Influence Marketing at VMware. Katie Holms (@katie_holms) has a long history at VMware, she started over 4 years ago and is now co-leading with Amy and holds the title of Product Marketing at VMware. 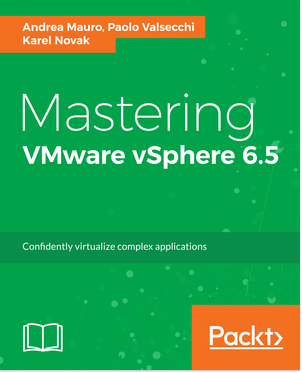 The program is build upon the vExpert program. 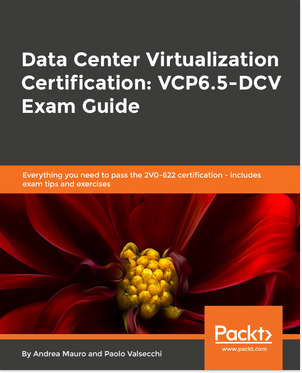 To apply you must be a current vExpert as well as be evangelizing VMware NSX. There will be an application once per year for each of the sub-programs.